Bring the restaurant food that your other half loves into your own comfy relaxed home and you’re onto a sure-fire winner. With the help of these rather talented bloggers, who have diligently recreated your favourite dishes it couldn’t be simpler. Bon appetite! Japanese cuisine is the perfect combination of delicious and usually quite healthy, which is perhaps why Wagamama is so very popular. Yes, we’re fans. And we’re not the only ones. 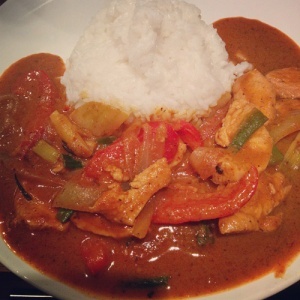 This mouth-watering recipe from Lauren Loves Blog is inspired by her undying love for Wagamama. So it’s perfect for treating the person who has a special place in your heart. 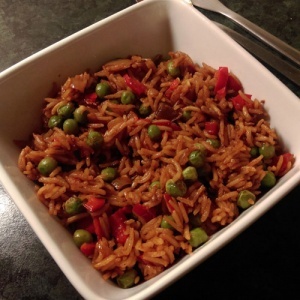 Patrons of Portuguese flavoured restaurant, Nando’s, will know that their spicy rice doesn’t mess around. Flavour-wise it’s up there with the greats. Not bad for a restaurant that’s verging on fast food territory. Can such a glorious treat for the taste buds ever be recreated? It can and it has by culinary genius Cook With Natasha. If you every took your beloved out for a burger at a fast food restaurant that would probably bring a potential courtship to a speedy end. McDonald’s is not synonymous with romance in anyone’s book. But gourmet burgers are another kettle of fish beef entirely. 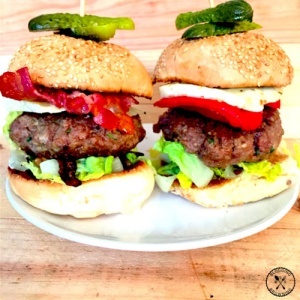 Blogging & Browning’s take on homemade beef burgers is stupendous, not least because it includes not one but two winning toppings combos. Eat your heart out gourmet burger restaurants. Italians understand the language of amore. They understand romanza (romance). And they no question of a doubt understand food. 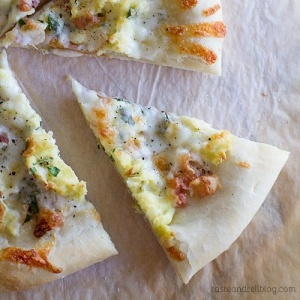 Which is why homemade pizza is a sure fire winner, especially this pizza carbonara recipe from Taste and Tell. Can’t choose between pasta and pizza whenever you eat out at an Italian restaurant? This recipe has you 100% covered. 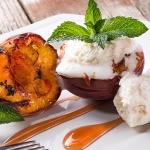 Want to really pull out all the stops for dessert? Forget fancy soufflés or meringues. We’ve found the one dessert you need to finish your Valentine’s meal with a flourish: SugarHero’s Homemade Phish Food Ice Cream. Yes, you read that right. 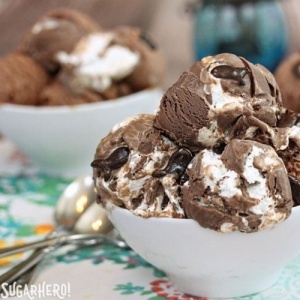 A recipe exists for you to recreate the Ben and Jerry’s classic in all its chocolatey deliciousness . Seriously, what are you waiting for? There you have it. Forget sitting at a cramped restaurant being hurried out of the door as quickly as possible so they can bring in their next guests. Break out the best china, pop a vase of fresh flowers on the table, light a couple of candles, open a fancy bottle of wine and voila! Valentine’s dinner, done. Baking supplies aplenty can be found in our cook shop if you’re running low on trays, utensils and everything in between.